It feels like forever since I last reviewed a model, and the drought is now over. 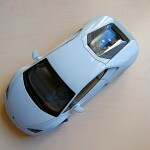 Today I present the latest review, AUTOart’s 1:18 Lamborghini Huracan LP610-4. The car itself needs no introduction. 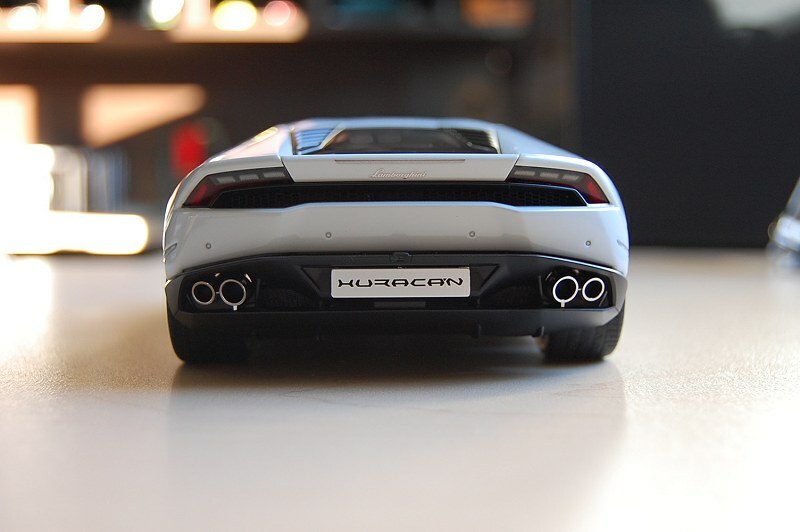 The name Huracan is taken from the Spanish word for hurricane. 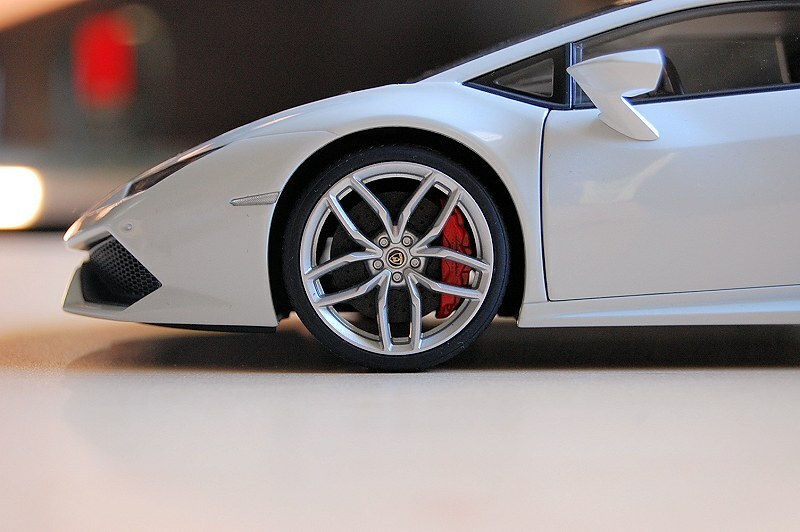 The Lamborghini Huracan is the replacement for the very successful and timeless piece from Lamborghini, the Gallardo (another personal favourite). The Lamborghini Huracan LP610-4 is from AUTOart’s ‘Composite’ series. I went with the white exterior and red/black interior. Based on the current color options, this one tickled me pink the most! 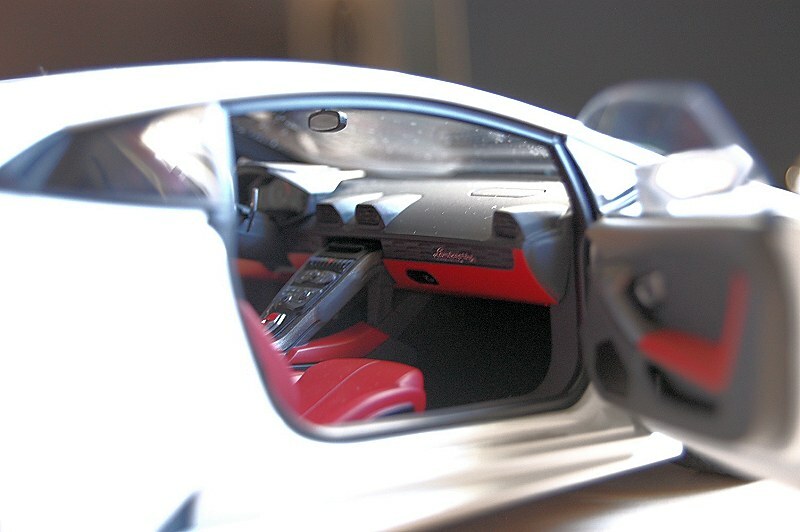 The exterior is typical AUTOart fashion, it captures the essence of the 1:1 on many levels. Body lines are smooth, panel gaps are good, and shutlines are even better. As mentioned earlier, the model is made of composite material panels. 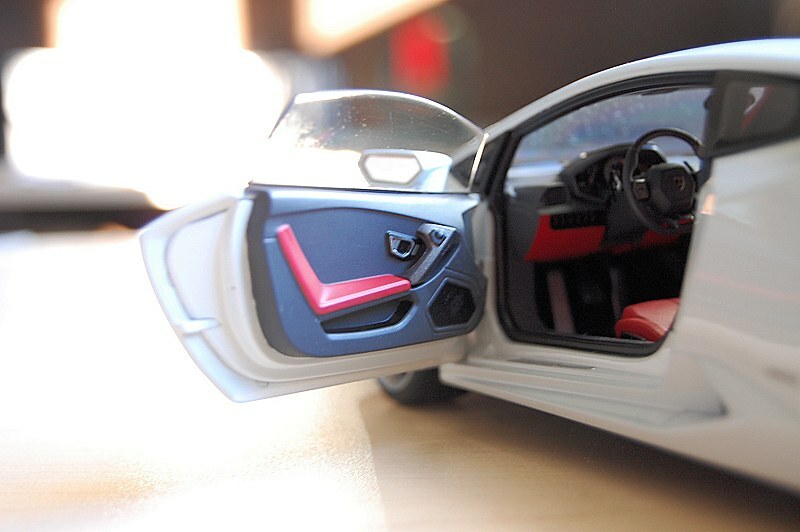 Each piece/panel looks the part, but when opening the doors, front and rear hatch you notice that there is something missing – the lack of substance of good old diecast metal. I’ll be honest with you, the model feels cheap and toy-like because of this, BUT the entire package works, and works well. Paint on the model is consistent throughout. 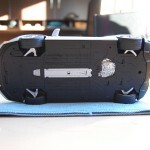 There is enough shine and reflection from the clear-coat, one of the better painted composite models I’ve seen of late. 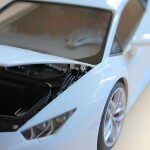 Front fascia features mesh grills, 3D Lamborghini emblems, and headlight detail is very good too. 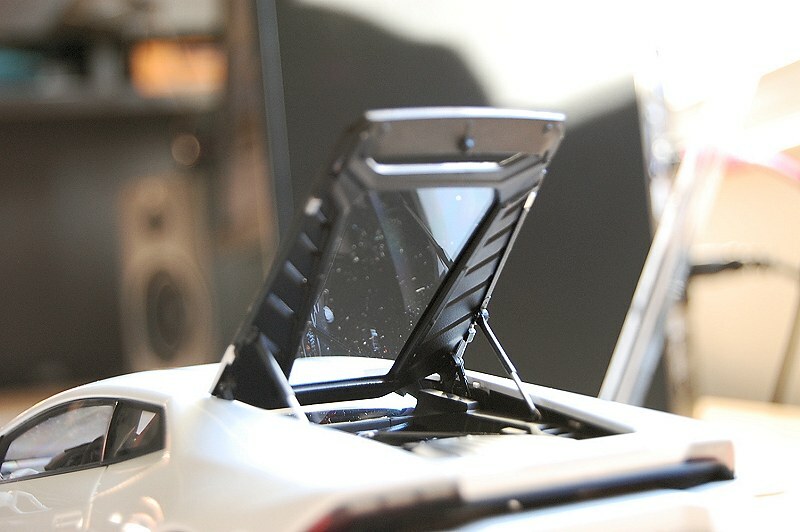 Hood operation works flawlessly, you have to love AUTOart’s engineering here. 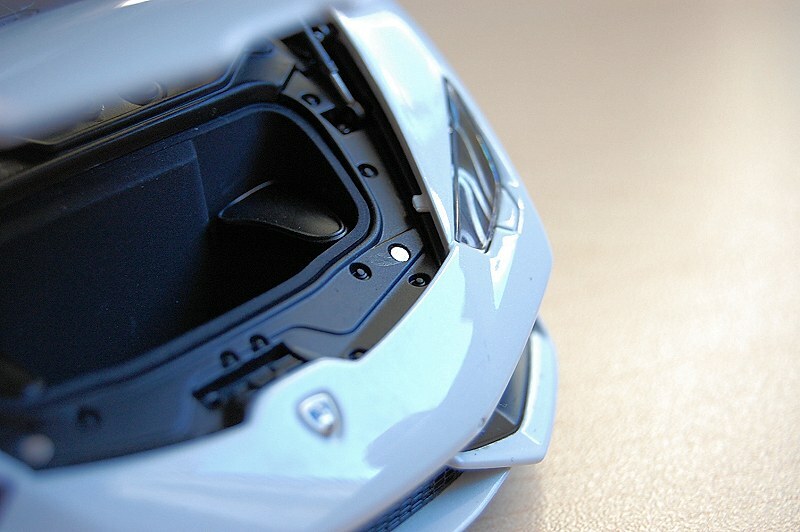 Note the two small magnets on the lower side of the opening. They are utilized to keep the hatch closed. 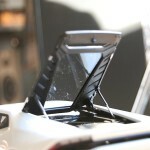 My guess, this is required because the composite material used is extremely light. I read that some people had some serious panel gap issues when closed. 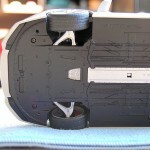 It is best to massage the hatch with your fingers when in the closed position to get the best fit. Moving to the rear we have more AUTOart goodness. Detailed taillights, exhaust tips and photo-etched details all provide a nicely executed rear. Note the photo-etched metal grille just under the rear spoiler. I like it! 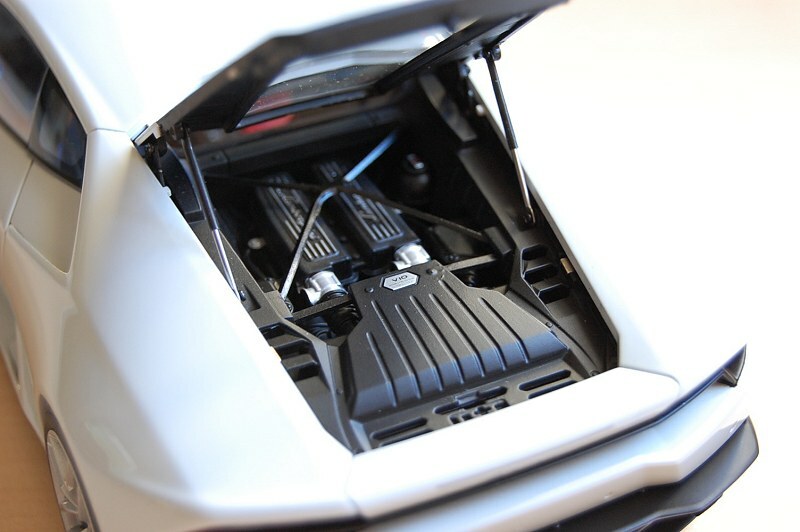 The motor is accessible with Huracan. 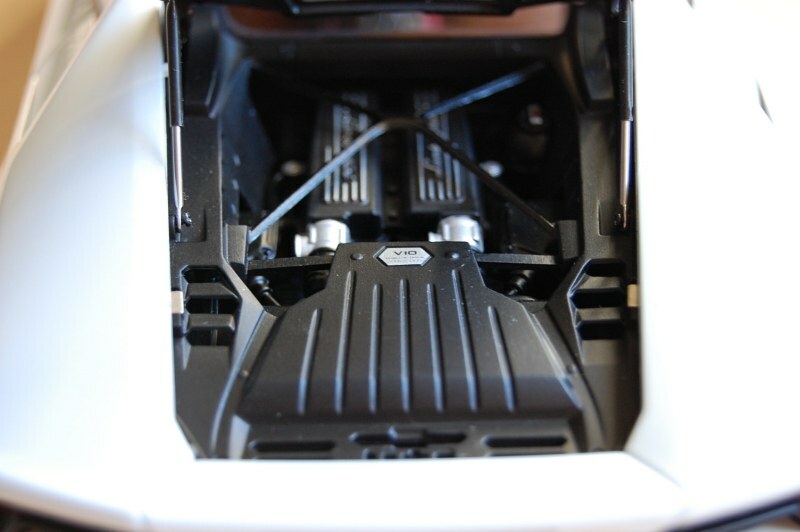 In typical AUTOart fashion, there are simulated gas struts on each side. 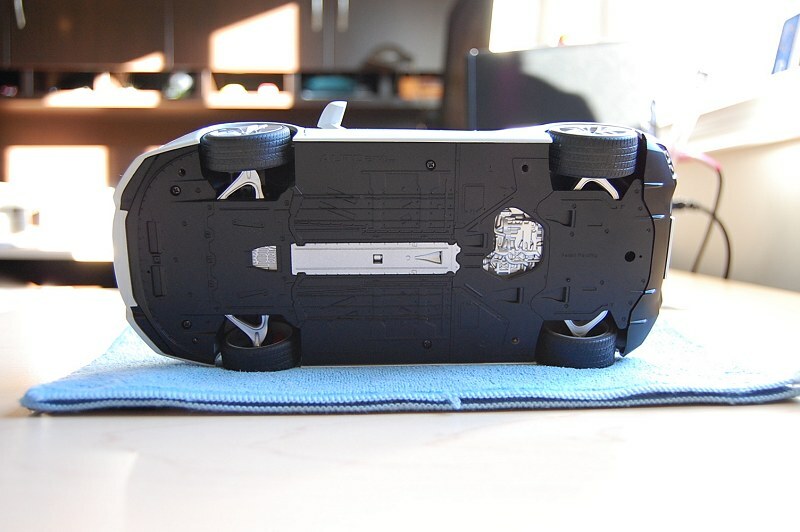 I wasn’t impressed with the hatch piece itself, the composite material is very cheap and flimsy, again adding to the toy-like feel noted earlier. 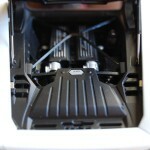 The motor itself is nicely layered in detail. Not AUTOart’s best work, but it does suffice. One element that left a bad taste was the upper structural cross-member. It looks like something you would find on a $30 Maisto model, not on $200 plus model. WTF AUTOart? The wheels are works of art. Thank goodness AUTOart reserved the silver paint for the white instead of the black we initially saw on the early prototypes. The wheels are mated to carbon fibre rotors and massive brake calipers painted in red. The package works well. Just lovely! 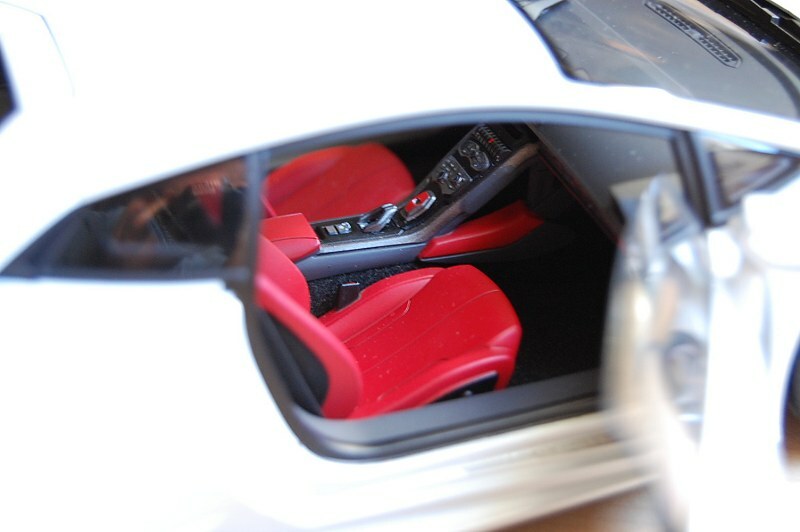 The interior shines with the black/red colour option. It definitely excels, in my opinion, with the subtle white exterior. Though others may find the optional flashy exterior combinations a little more appealing, my dollar is on the white. 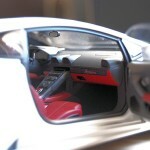 All interior elements are present which include dash, centre console, and doors cards. There is also full carpeting throughout. My only complain is the weightless doors, with the composite material they seem somewhat flimsy and cheap. If the review sounds somewhat disheartening, that’s because it is. I was under the impression that the move to composite material was to reduce the overall opening price point for AUTOart models. This one chimes in at $229CND plus tax, a far cry from their earlier release, the Alfa Romeo 4C, coming in at around $149. I don’t mind the sacrifice to composite from diecast to gain the accessible bits, but model costs 2x more than your Welly and Kyosho offering that are well under $100CND. AUTOart, please help me understand? As for the model itself, shelf presence and overall execution is there, as it should be. This is a must have piece for me, as my collection revolves around many European supercars, most of which carry the Lamborghini badge. I’ll leave it in your hands to make the final call. 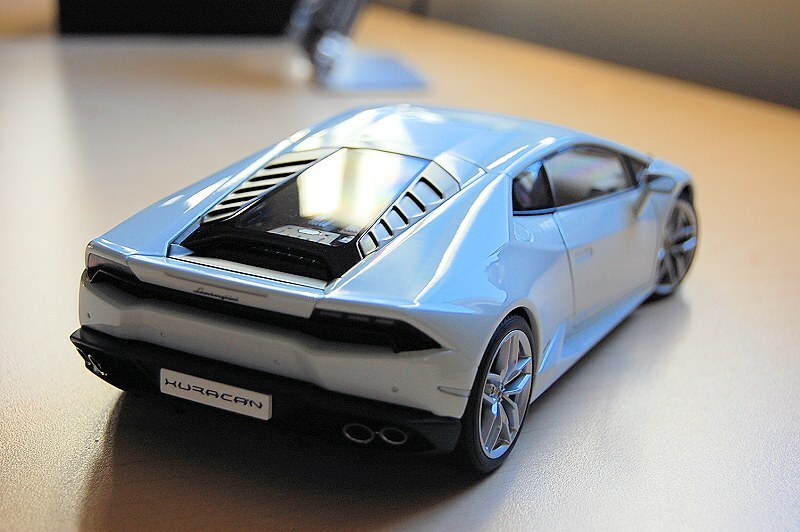 How important is the Huracan to you? There are other cheaper options, all of which have their limitations, so what are you willing to live without? Enjoy the pics! 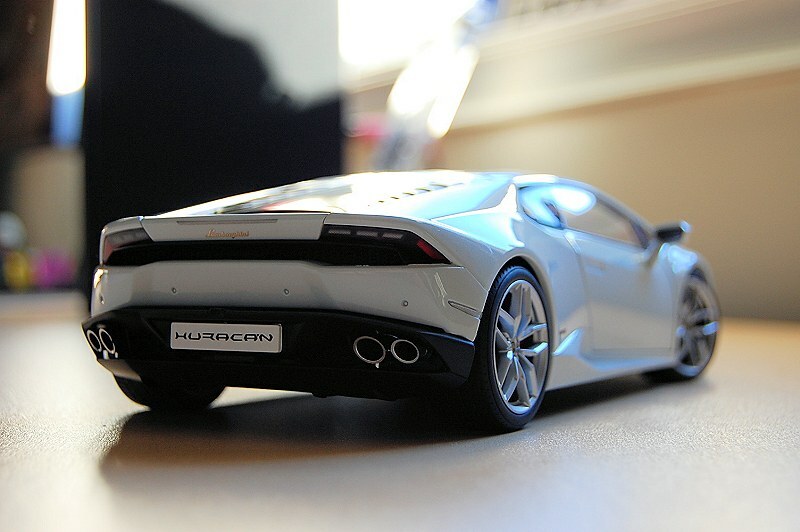 16 Responses to "REVIEW: AUTOart Lamborghini Huracan LP610-4"
Great review. I was curious about the opening bits on the composite series and you answered my questions. I agree that the composite models dont really make sense at the same price point as the diecast ones. Thanks. It is as simple as this, if Kyosho can make a sealed diecast version for $100CND AUTOart will all their resources should be able to do so as well. I’m willing to pay the extra for the opening bits. BUT $229 CND for composite is stretching it for most. 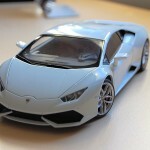 I just bought the red Huracan by AUTOart, and let me say this… Horrible quality… I have been a collector of diecast cars for more than 20 years, and let me tell you this, this is horrible. AUTOart has been a benchmark of mine, and 90% if not more of the cars in my collection are now AUTOart, and this is the worst I have ever seen. Sure the paint might look good but the plastic is unacceptable. When you press on the rear of the car… the whole rear end flexes, you can actually see the screw that secures the strut flex and thus cause the engine cover move with it. 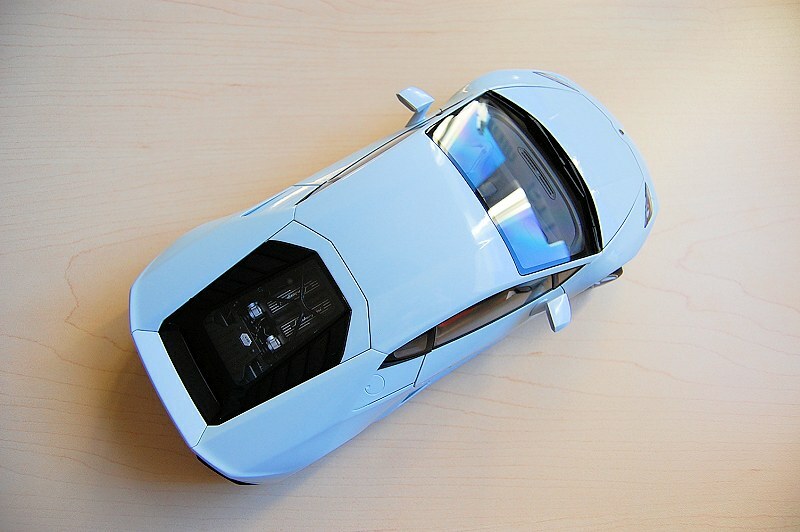 This would have been okay if It was a toy, but not on a $200+ cdn model car. If I wanted to buy plastic I would have bought a $20 plastic kit and painted it myself. AUTOart redefined quality back in early 2000s – mid 2015 before this composite non-sense. 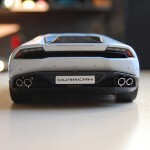 I am really disappointed with this move AUTOart has made… AUTOart is trying to make cars cheaper, and yet want us to pay the same if not more than what a diecast car used to be… I say let’s vote with our wallets, and not buy anything composite, until AUTOart produces model cars the proper way…. Too bad the Aston Martin and the c7 will be composite as well… Oh well… This is where I stop buying composite model cars… and go back to buying older well built quality diecasts by AUTOart. 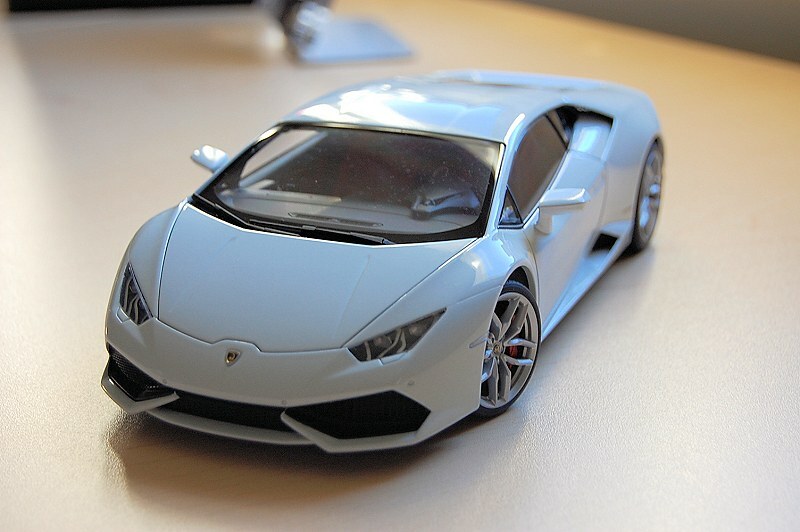 AUTOart execs are laughing their heads off as they cut their production costs for the cars, and charge the same for these cheaper plastic “toy” cars… I will be exchanging this model for another diecast car…. $200+ for plastic? No thank you. Yup, voting with your wallet will help. 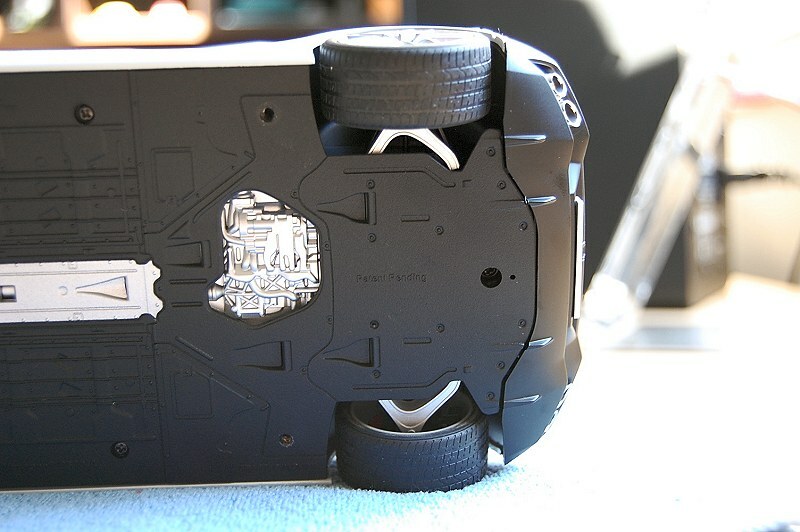 Oh btw I have to add that … the front luggage compartment, (under where the front hood is located)…. 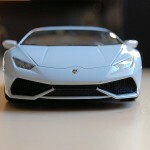 in previous autoart lamborghini’s (i.e. 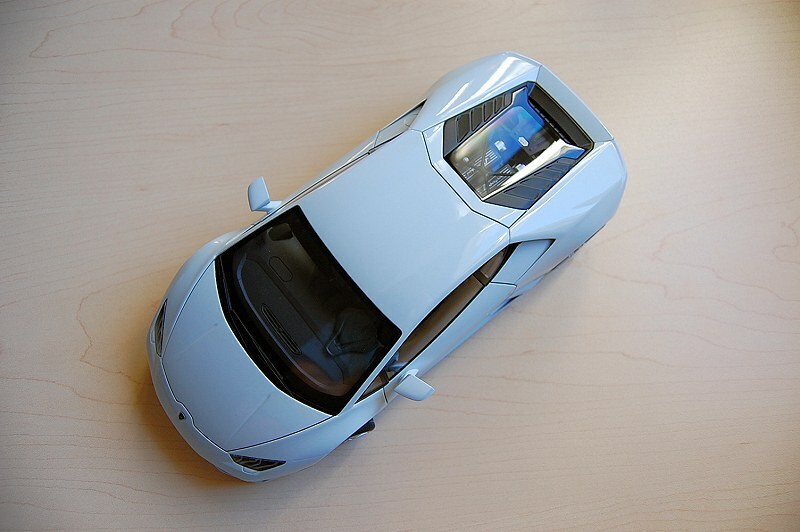 Murcielago, Gallardo, aventador etc)… they used to be fabric / carpeted, in this composite edition, IT IS NOT! 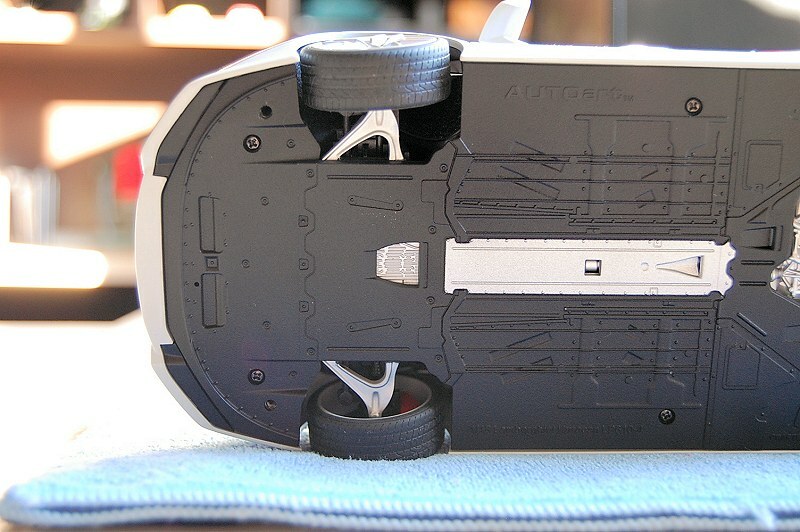 !… I don’t see how Autoart Justifies for such utter nonsense. I have been following DS. for some time, but after buying this model, I had to create an account to give my two cents. I’m not trying to rant, I’m just trying to add to this review, as how this car compares to other TRUE diecasts of the past. This quality is unacceptable.. This reminds me of when back in early 2000’s autoart tried the SEALED race cars, and failed, and they brought back the full opening models. I didn’t mind paying $250 for the Veyron supersport, I did not mind paying $320 for the Huayra, $300+ for the Veyron centenaire $300 for both the race and the street versions of the Mc12… but when you charge $200 + for a plastic “TOY” and not a MODEL car… This is purely unacceptable. 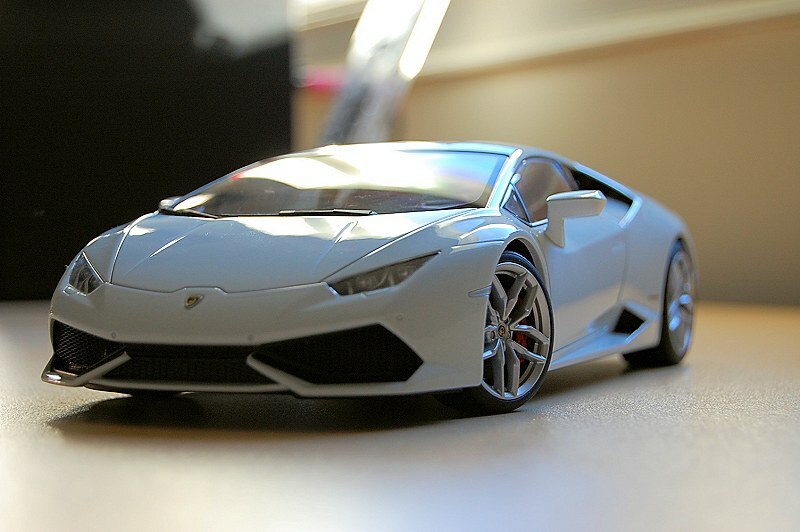 This whole Genre, Other manufacturer’s websites, even this website and others, they are called “DIECAST” model cars not “PLASTIC / Resin” Models. 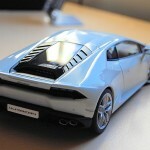 Hold on to your older diecast cars focus, as I suspect they will end up being worth a lot more in the future. 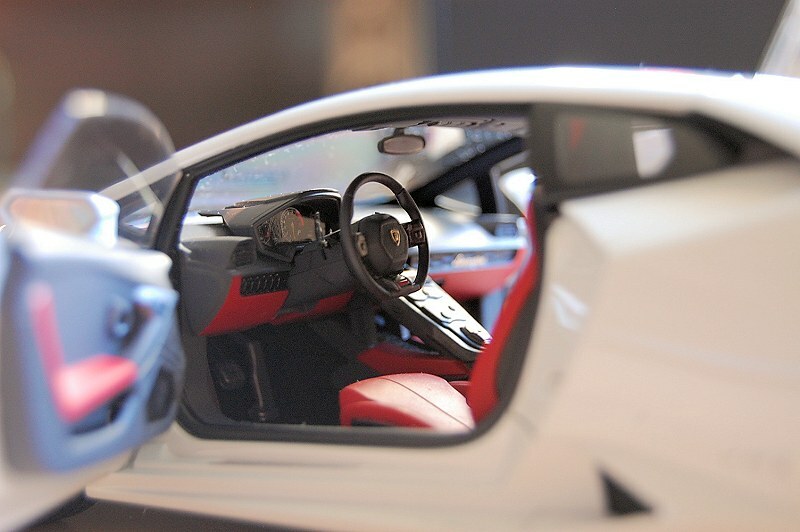 I am a huge collector of European cars, and I HOPE the Aventador SV lp750 will be diecast like the previous ones, because if it too follows this path… Autoart surely has lost a customer for sure. Again I feel heartbroken because I REALLY wanted the Aston Martin Vanquish, the corvette C7 z06, and the McLaren P1 but after feeling and seeing the Huracan composite, with all its flaws oh man autoart has lost its edge. 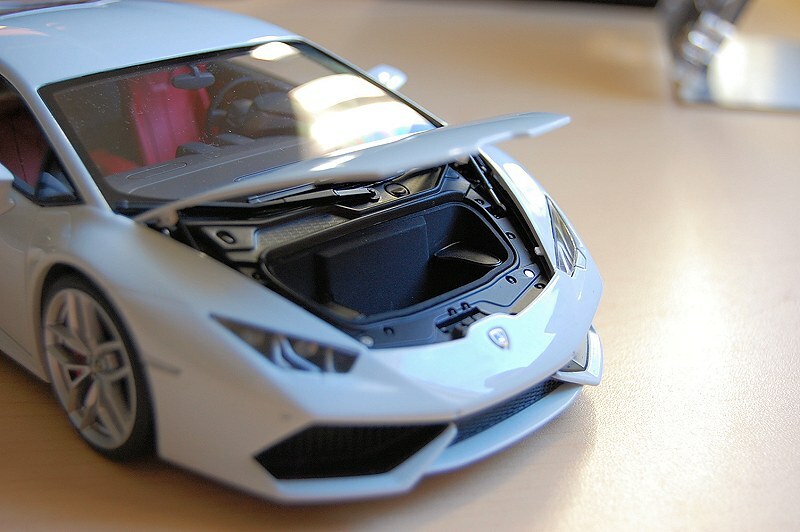 Deep inside WE all know after putting these plastic composites next to our highly detailed diecast cars, no matter “how expensive” they are, we will always regard them as being less valuable compared to the “TRUE” DIECASTS. 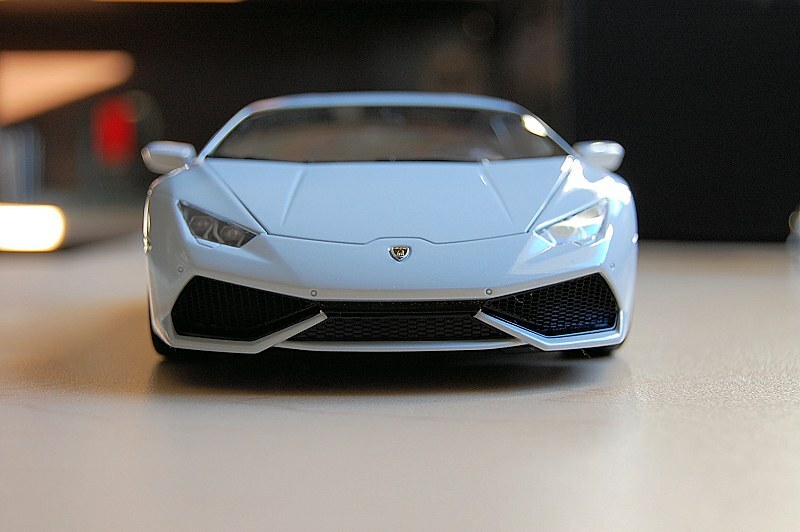 I just saw on a website the Autoart Lamborghini Aventador SV for pre order and it said it was a composite model :( I just bought my first 2 scale models. The Lamborghini Aventador roadster and the Sesto Elemento. I am really happy with them :) I really hope the SV from Autoart will be better than the Huracan. Or they make it cheaper. I also saw that the Porsche 918 they are making will also be composite… Pictures look great tho..
What about suspension on this model? Is it working? After seeing reviews of these composite models, it’s very disappointing. @EDib totally agree with you! 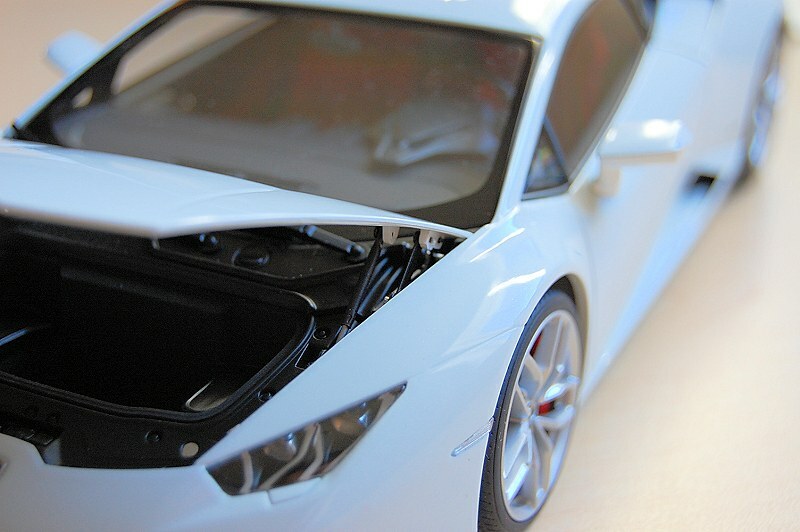 This is what autoart is doing… we’ll give you the same styling, cheaper quality, and we’ll charge you the same (and eventually more) than what the previous diecast used to cost. Thank you for this balanced review. I have been waiting for this trusted source to help me with the decision whether I´ll follow AUTOart into composite with the Huracan or not. And what can I say …Sigh!!! … Your review and the above comments confirm my worst nightmares. 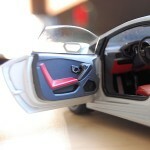 Elsewhere I have even seen pictures of light shining through the front hatch … that´s how thin it is. Yet, the prophecy that composite will be cheaper than diecast has been confirmed in a cynical way: AUTOart are simply charging even more for their diecasts now. If other manufacturers follow this policy, the 1/18 model bubble will collapse soon. My model dealer has given up business at the end of 2015, saying that he was simply fed up with quality decreasing (more trouble with flawed models) while prices skyrocket. Through the years, long-standing collectors and their means grew with the hobby and thus had the wallet and were willing to buy increasing quality at increasing prices, with Zonda R and Huayra as pinnacles. AUTOart simply had no rivals (on their turf). Now, however, competitors, if they are wise enough not to go with the flow, can win over customers who are keeping their wits about them: Well-off high-quality collectors might well turn to CMC for that sort of money. And beginners have alternatives to continue their hobby (I would never have been able to start the hobby if prices had been like this back then). Norev, for example, have improved their quality over the years and can inherit AUTOart´s position by keeping their prices competitively modest. If they aren´t careful, AA´s policy will be blowing up into their own face. This week we´ll see in Nuremberg where the industry is going. Yes, that´s exactly what I meant. 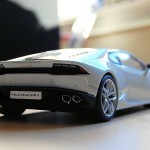 Returning to buying budget (why not get a Welly Huracan and do a bit of DIY?) or investing your hard-earned money into true quality not much more expensive. The gap between AA´s and CMC´s Bugatti Type 57 Atlantic was adequately reflected by their respective price-tags. But now only the gap in the prices closes while that in quality widens. 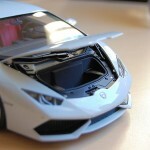 I was fine with the quality AA, Kyosho and Minichamps produced about 5 to 10 years ago. There was nothing wrong with AA´s Jaguar XJS and Lambo Reventon, especially not at the prices at which they sold. If whatever manufacturer gives me that, I´ll happily buy from them. And who can blame people who buy GT Spirit, Otto, Top Marque sealed resin or Kyosho´s sealed diecast models at half AA´s price, when they feel more solid and there is not much more to be seen when AA´s composite is opened anyway? Gone are the days when sealed resin models came out and were sold in limited numbers at ridiculous prices before AA presented their (better, more solid AND cheaper) version. Usually, In the past I gave resin the miss waiting for AA, now a Tecno Models Vanquish becomes an option if AA´s Vanquish is like the Huracan. 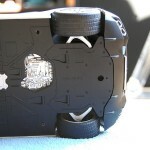 Something that remains to be seen is how colours may change differently on diecast and plastic parts over the years. I have got diecast-bodied Land Rovers with plastic doors and hood that have a diffierent hue from the rest of the body now. Credible for a work horse, but on a Lambo? So what our comments reflect is that the departure from diecast and the spiralling prices make more and more collectors reconsider the hobby, when in the past the decision to buy with no questions asked was made as soon as AUTOart announced (!) a model. And that is unfortunate, indeed! 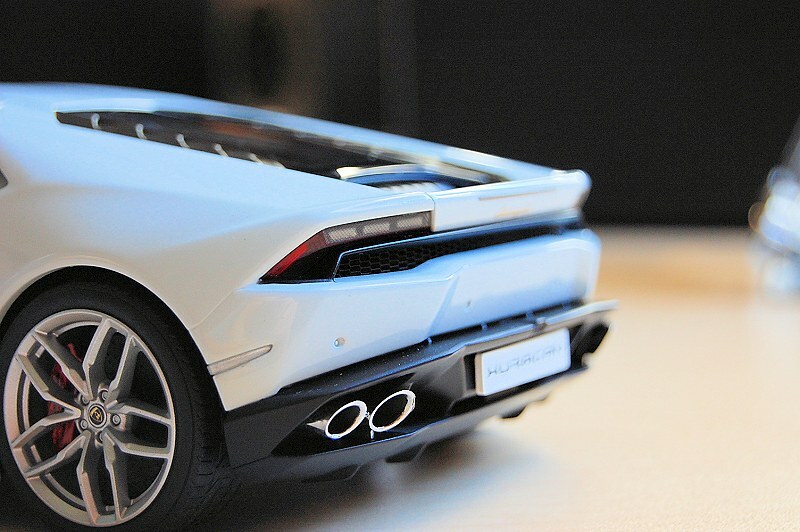 im still kinda struggling with the Huracan as a car in general and was hoping one of the model car companies (preferably Autoart) would work their magic so it would spark my attention but in this particular case its still a negatory..
Great review, dispite all the negativity call me crazy i still want to get this.